At Emerald Marine you will find a shop and shipwrights dedicated to the preservation and restoration of wooden boats. 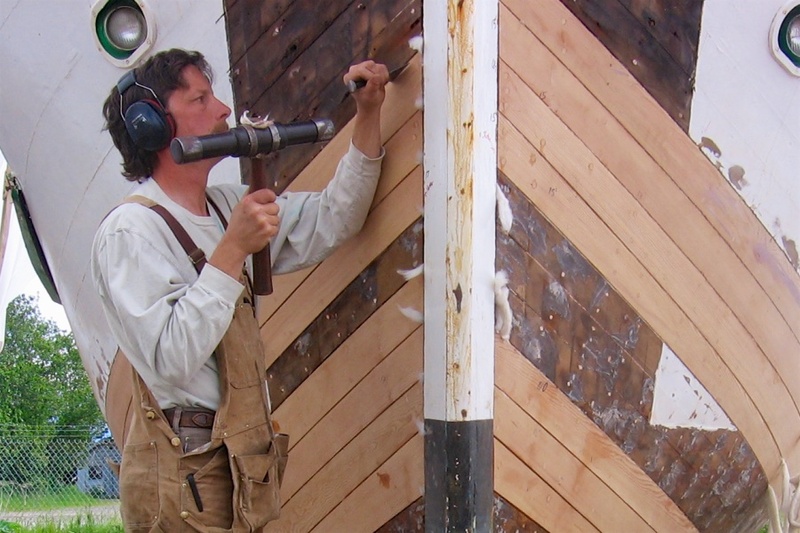 We have experience in all phases of construction and repair including; planking, framing, decking, caulking, propulsion, steering, interior and exterior joinery. We offer detailed consultation for our clients and make specific maintenance and project plans for their vessels. Good customer communication is at the heart of our philosophy. The goal at Emerald Marine is to maintain the safety, value and enjoyment of your wooden boat in a way that is affordable and predictable. Emerald Marine also specializes in custom woodworking projects for all types of hulls, including fiberglass and steel boats. We have installed custom teak cabinets, headliners and cabin soles. In addition we’ve designed and built custom interior features such as bunks, storage, aft deck fold down tables and wood instrument panels. The warmth of wood enhances all boats. In 2009 we installed our first Beta Marine engines in a Stone Horse Cutter and have continued to promote these reliable machines for use in a variety of boats both sailing and power. We offer the full line of these marinized Kubota diesel engines. They are robust, well engineered and easy to work on, with parts readily available. We can determine your horsepower needs, and the specific changes that may need to be made to accommodate one of these fire engine red dynamos. 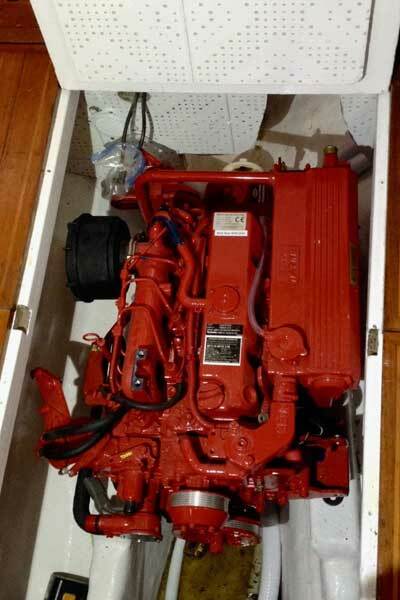 We will install your engine if you are not doing it yourself, and we partner with our associate Rob Rhodes at Blue Sky Marine for service. Learn more about Beta engines at Betamarinewest.net or come visit us to see one running. Emerald Marine is conveniently located in the heart of the Anacortes Industrial Park and provides easy haul-out access through North Harbor Diesel. In addition to many collective years of dedication to wooden boat repair and restoration, Emerald Marine has access to a wealth of specialists in all aspects of the marine trades. Our 2,500 sq. ft. shop includes an indoor bay for boats up to 40’ plus satellite tents to accommodate vessels up to 65’ under cover. North Harbor Diesel and Yacht Service provides our haul outs with their state of the art KMI Sealift. Bringing your boat into our shop is easy, inexpensive and safer than a travel lift. North Harbor Diesel and Yacht Service provides our haul outs with their state of the art KMI Sealift. Bringing your boat into our shop is easy, inexpensive and safer than a travel lift. We offer a wide variety of materials to help you complete your project.